Very Positive (44) - 81% of the 44 user reviews in the last 30 days are positive. Mostly Positive (3,946) - 70% of the 3,946 user reviews for this game are positive. 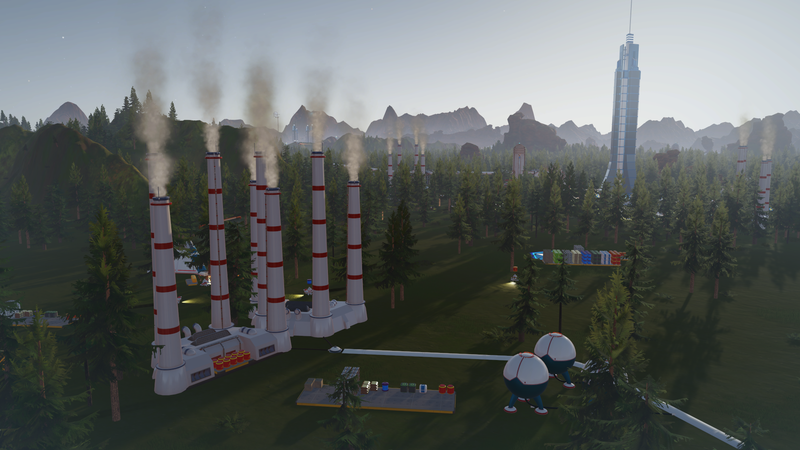 In Green Planet we’ve added 7 new buildings, which are dedicated to the terraforming efforts. Some of these buildings require specific planetary conditions to function properly. Three of these buildings appear much later in game and require significant research progress to even become available! They have the spatial dimensions and the construction costs of wonders but may be constructed more than once. There’s this rewarding feeling when you cover an area with huge smoking chimneys, knowing that you’re changing the planet on a large scale. The terraforming buildings will be added to a new category of the build menu – Terraforming. 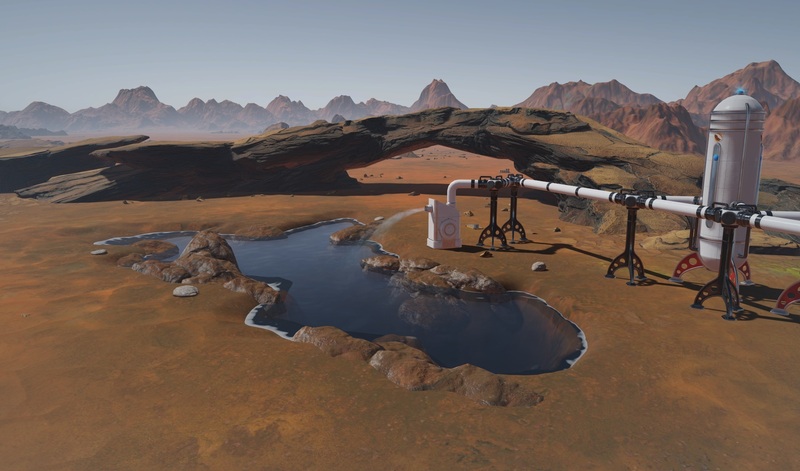 Players are in complete control of when they choose to start the terraforming progress by deciding when to research the first tech in the chain. 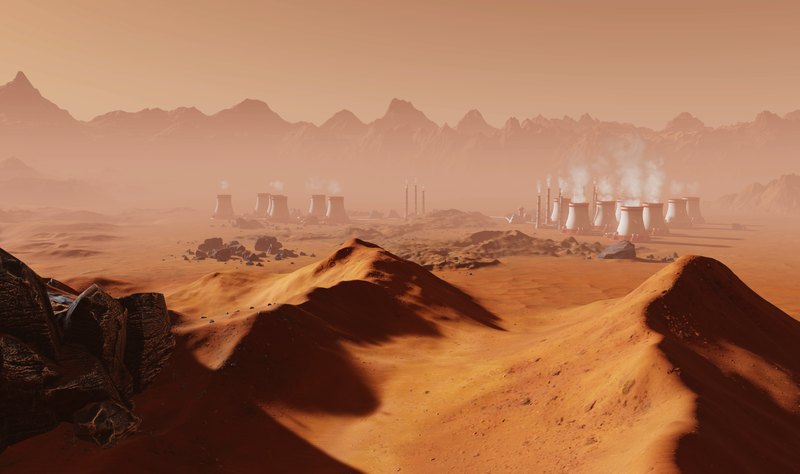 Every step in the chain unlocks new buildings and improvements which will help in your mission to terraform Mars. The Forestation Plant (or the Sprinkler, as I love to call it) spreads seeds imported from Earth, or produced on Mars, to plant wild vegetation in its range. Initially, it plants only lichen, but later grass, bushes, and trees become available as the terraforming project progresses. As some of the seeds get carried away from the colony by the winds, each Forestation Plant helps for the increase of the global vegetation. The GHG Factory (short for Greenhouse Gas) burns a mixture of fuel and locally extracted carbon to produce greenhouse gases, which are released into the atmosphere. Thus increasing the average temperature of the planet. Similar to the GHG Factory, the Carbonate Processor converts waste rock into carbon dioxide. The release of CO2 in the atmosphere improves its density and creates the necessary circumstances for oxygen-producing bacteria to thrive and for rains to occur. The Core Heat Convector is a system of pipes that go deep into the Martian crust. It uses water to transport heat from the planetary core and improves the atmospheric temperature, while heating its immediate surroundings. The Magnetic Field Generator improves the magnetic field of the planet, decreasing the loss of atmospheric gasses. It has a secondary function as a science facility and generates research according to the current state of the atmosphere. As a side effect of the strong magnetic field, the MFG may trigger “marsquakes” in its immediate vicinity. So take care to place these far away from the heart of your colony. There are several different sizes of lakes, each having different forms. Lake beds are dug up by drones and then gradually filled with water. If liquid water is not yet possible on Mars, the lake remains frozen. When the conditions allow for it, the water liquefies and the lakes start to gradually improve the global water levels through evaporation. The Open Farm is a huge unmanned facility which grows various edible plants away from your domes. This open-air farm spreads a mixture of water and seeds, which grow or wither according to the local soil quality and the overall terraforming progress. Once fully-grown, plants are individually harvested by drones for food. 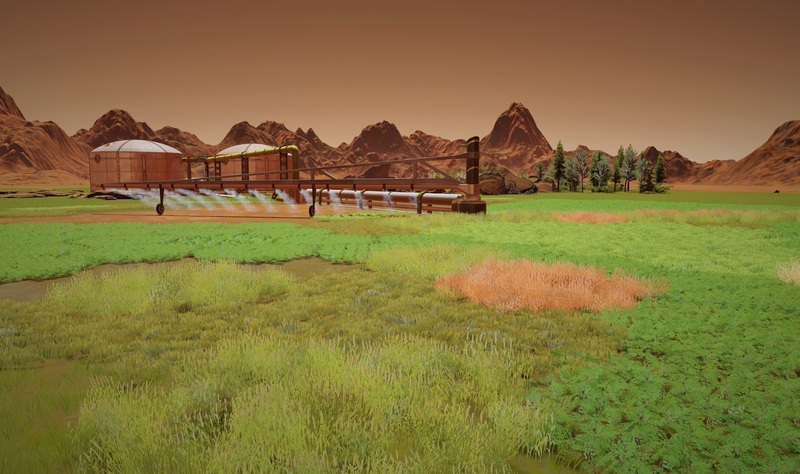 All terraforming buildings are unmanned and can be built as soon as you research their corresponding tech in the Terraforming field of the research UI. For those of you who intend to terraform Mars before sending the founders of the colony, we added one additional building, the Capital City. The Capital City requires the atmosphere of Mars to be breathable and warm. It’s the most spacious dome design and it doesn’t have a cupola, or metallic frame. Instead, it’s surrounded by trees, doesn’t consume Oxygen and can be placed on rough terrain. I’ll be looking forward to your screenshots! 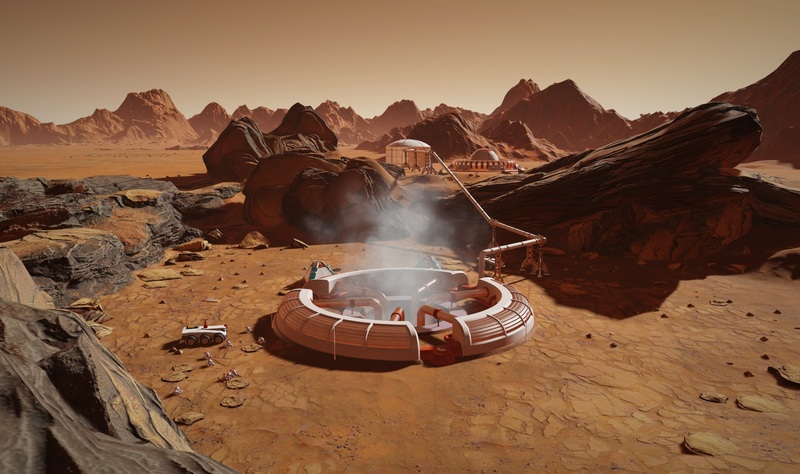 Haemimont and Paradox Interactive present a feature breakdown about some of the new features, mechanics, and missions within Surviving Mars' upcoming expansion: Green Planet!